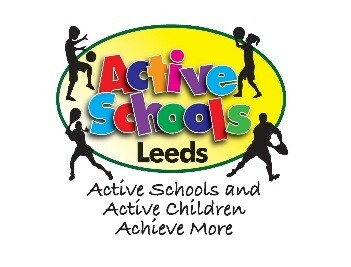 Over 100+ Pupils attended The second of 3 Active Schools + Aqua Festivals In the Leeds S & C SSP. Schools new and old to the event had much fun and enjoyment!! Where Participation was the focus!! 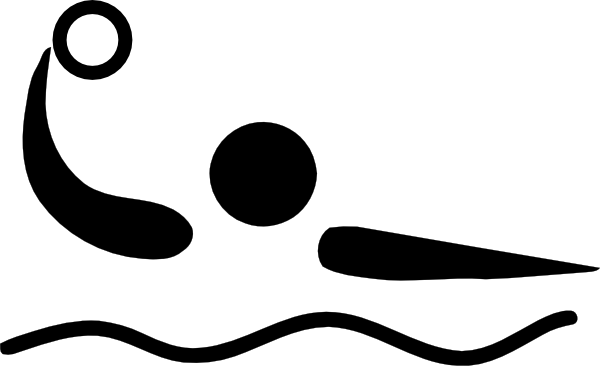 Whilst, the Advanced swimmers competed in School Teams against each other in water polo, non and beginner swimmers took part in individual races which encouraged water confidence!! Many thanks to all involved - Pupils and staff!! Over 100+ Pupils attended The first of 3 Active Schools + Aqua Festivals In the Leeds S & C SSP. Schools new and old to the event had much fun and enjoyment!! Where Participation was the focus!! 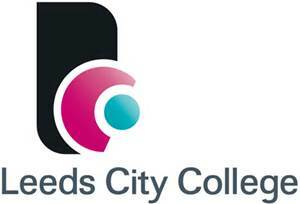 Many thanks to all involved - Pupils and staff, with Particular thanks to the Leeds City college students who supported the running of the event. 20 teams and over 150 adults and children with a disability came together this week (26th September) for the 16th annual Disability Tag Rugby Festival at John Charles Centre for Sport. 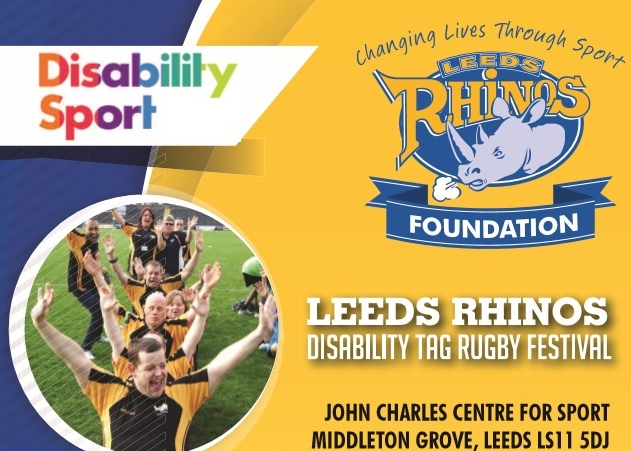 The festival run by Leeds Rhinos Foundation is open to ambulant children, young people and adults with a learning disability and/or moderate physical disability who can take part in tag rugby games against other organisations in the region. 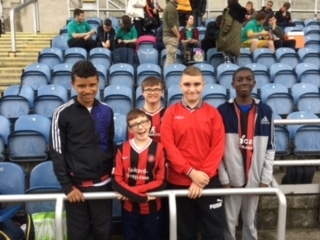 Teams from Leeds as well as Doncaster made the trip to South Leeds Stadium for the event this year including a Primary school children from Allerton C of E School who took part in a mini coaching session alongside the tournament. Earlier in September Leeds Rhinos Foundation announced a new partnership to extend its disability delivery in the city to work with over 1000 adults from learning provider Aspire CBS, who sent teams from four of their centres in the city to the event. “The more we can sort of meet people and work with Aspire and work with different people throughout Leeds obviously then the participation will increase but we can notice that there is a slight in skill but more than anything there is great appreciation of the sport and everybody seems to be having a good time and just because maybe they feel more comfortable playing it but everyone is definitely having a good time,” added Godfrey. The festival also provided many of the specialist inclusive learning centres in the city with the chance to take part with 10 teams enjoying the junior fixtures on the day and the chance to meet Leeds Rhinos young stars Mikolaj Oledski, Alex Sutcliffe and Josh Jordan-Roberts, who met players and presented medals and certificates at the event. “It’s huge that the Rhinos can work with organisations like Aspire and Active Leeds and it’s great that there is more and more going on that gets everyone involved in sport. Leeds Rhinos mascot Ronnie the Rhino also made an appearance on the day and was a particular hit with the younger age groups. “We have had Ronnie with us today, there are a lot of young players here and they were overwhelmed with Ronnie being here and jumping with joy, but I think it’s good to get players involved with stuff like this because it makes the fans feel like they are part of the Rhinos and it’s great to socialise with people that are as passionate about the club as we are,” added Oledski. With one of the biggest turnouts for the event in its history, the sky is the limit for Chris and Leeds Rhinos Foundation, who will be looking to grow the event in years to come. 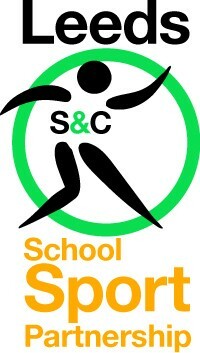 St Philips Primary - 'today was amazing, the children loved it! Credit to you and your sports leaders it was extremely well organised and an excellent opportunity for all children and fully inclusive!! Congratulations to the sport leaders!! 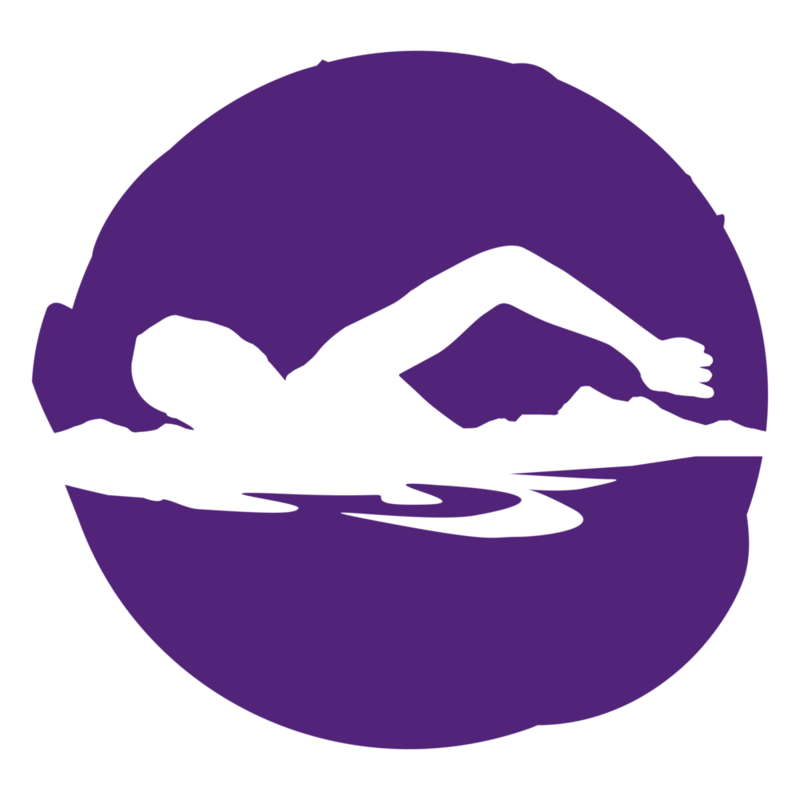 - Great effort!!! the event wouldn't have gone so smoothly, without your commitment to working hard!! Quoted as 'outstanding'! !, from primary school staff feedback. A credit to their school!! Well done!! As people across the world are inspired by the Paralympic Games in Rio this month, Young people and adults with a disability closer to home will come together for the 16th annual Disability Tag Rugby Festival on the 20th September at John Charles Centre for Sport featuring teams from organisations across Yorkshire. 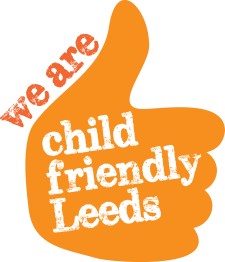 As part of the Leeds Rhinos Foundation’s commitment to provide sporting opportunities for all abilities, organisations across the city, including many of the Specialist Inclusive Learning Centre’s and schools with additional needs departments who have worked with the Leeds Rhinos Foundation this year will turn out for the event in partnership with Leeds City Council. 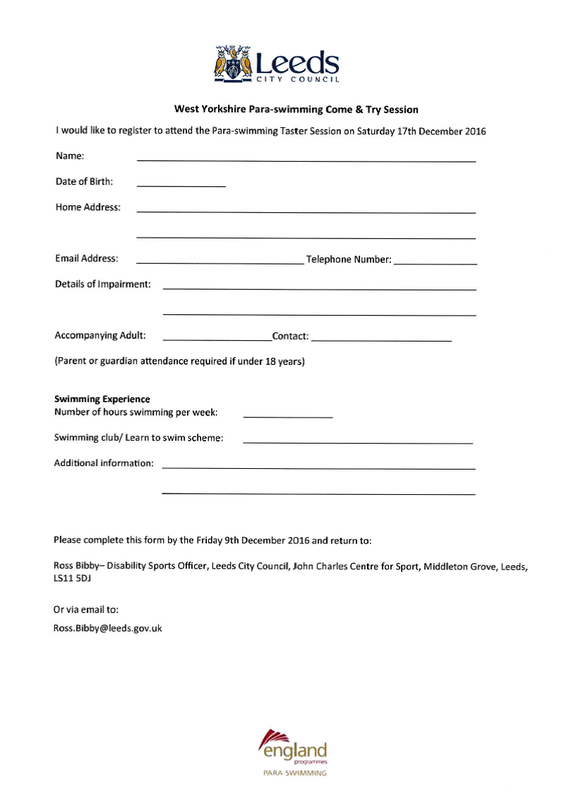 Teams from the Leeds area will be joined by a number of adult groups invited from across the county to John Charles Centre for Sport for the festival, which provides rugby competition for ambulant children, young people and adults with a learning disability and/or moderate physical disability, with ability levels from beginners through to more advanced players. “The Disability Tag Rugby Festival is always a fantastic event and every year brings more teams together to mix with each other and enjoy some competition. This year we are lucky enough to have another all-purpose facility in John Charles Centre for Sport which I’m sure will make it extra special occasion for everyone involved. 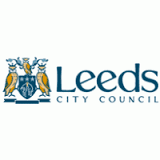 The event, which is staffed by coaches and delivery staff from the Leeds Rhinos Foundation, is likely to attract over 20 teams who will have the chance to meet members of the Leeds Rhinos squad who support the event each year.